When people are in the market for a product or service, they search. They’re already in the mood to buy; all you need to do is stand out. And you will stand out – if you add six simple but powerful local search strategies to your small business marketing mix. It’s a fact: 46% of all Google searches seek local information. What’s more, “near me” searches have grown 130% year-over-year since 2015, translating into a whopping 34-fold increase* in single local search queries. That’s a big deal! These stats mean that now, more than ever before, local search engine optimization (LOCAL SEO) presents significant growth opportunities for every small business. Not only is LOCAL SEO an especially effective way to generate visibility, it also helps you boost site traffic, increase engagement and drive sales. Like traditional SEO, LOCAL SEO focuses on content, backlinks, keywords and website activity. But that’s just the tip of the iceberg. What sets LOCAL SEO apart is the way it leverages the geographical component. 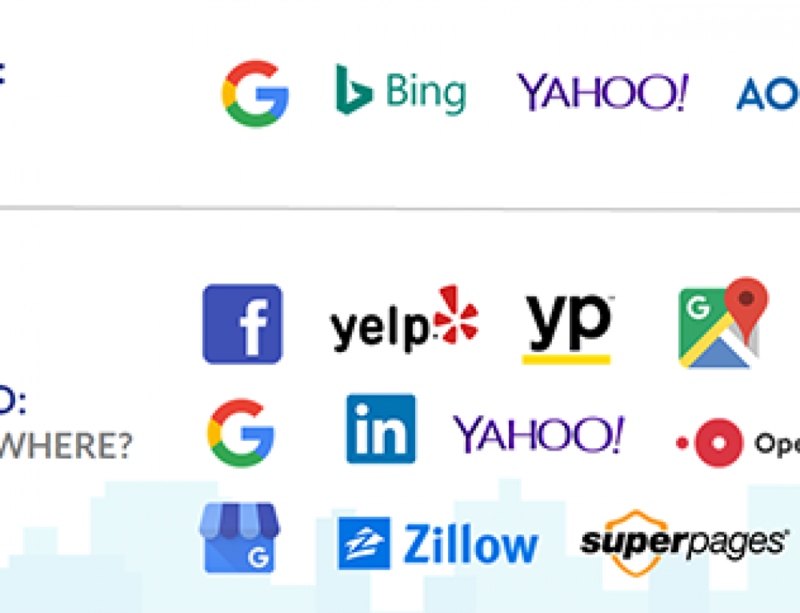 While traditional SEO concentrates on the “What” of your business (your product or service) LOCAL SEO also prioritizes the “Where” – further refining search to meet the demands of today’s connected consumers. By combining What + Where, LOCAL SEO optimizes your online presence and puts your business in a position to show up in local searches and meet potential customers right when they’re looking for you. 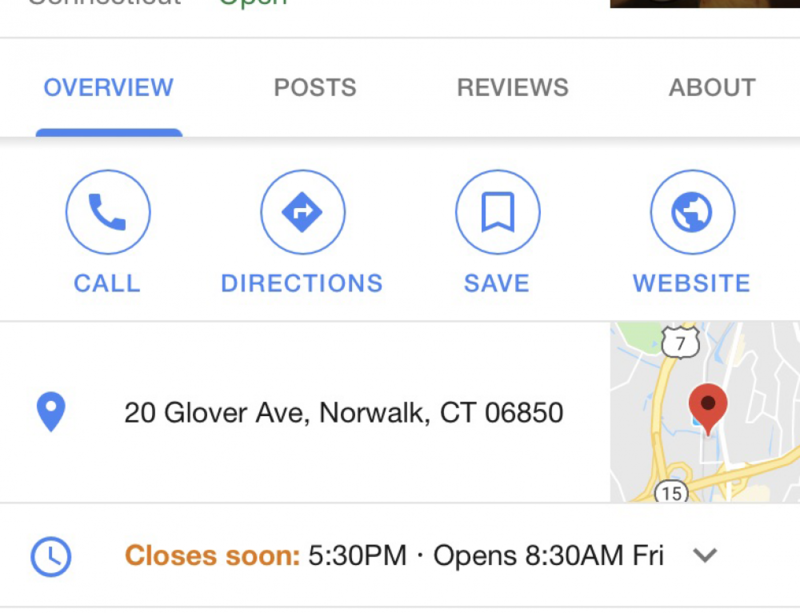 Google My Business: This free, easy to use listing helps you manage what appears on the right side of the page when customers search for your business on Google, including your business name, address, phone number and reviews. Website Backlinks: When other web pages — including review sites and social business pages – include links back to your website, it strengthens your value and relevance. Search engines take the number of backlinks into account when they rank websites in search results; the more backlinks you have, the more positive the impact on your site’s rankings. 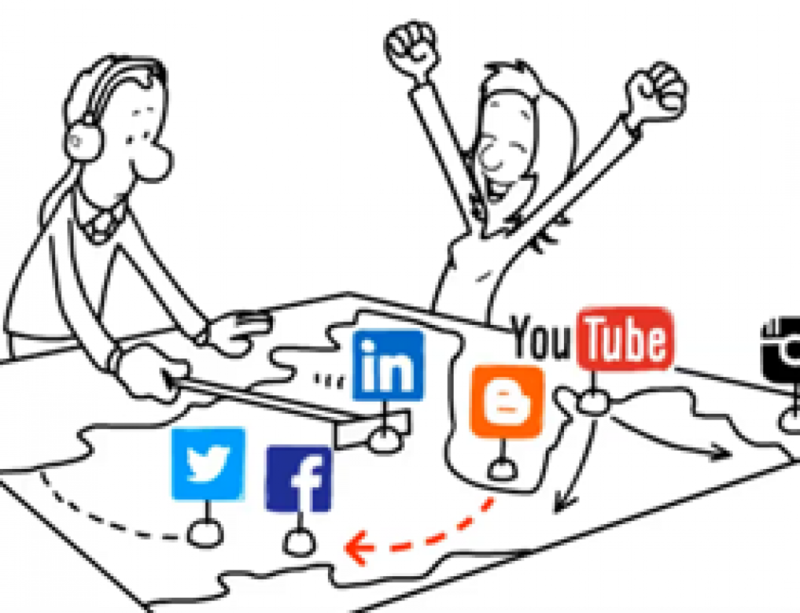 Good Online Content: Engaging content brings your products and services to life. Informative posts, images and video created and optimized to resonate with consumers help you reach your business goals. Most of all, good, relevant content captures early stage awareness queries and helps your business get found. Directory Listings: These online entries contain a local citation: the name address and phone number (NAP) of your business along with other information to help consumers in the discovery process. Citations also help your search rankings by telling search engines where you’re located and validating your business. These listings can appear on other business pages, review sites, or social media platforms. Reviews: The influence of reviews on purchase decisions is strong, clear and measurable. A full 84 percent** of consumers trust consumer online reviews as much more than a personal recommendation. Furthermore, every one star increase in a Yelp rating translates into a 5% to 9% increase in revenue! Social Media: Social media is a game changer, enabling small businesses to conduct highly targeted local advertising, build communities and maximize reach. Social media validation is a key factor that search engines consider when ranking your website. The more people that engage with your business on social networks, the better your local SEO. Well-executed LOCAL SEO can deliver compelling returns for your small business, by providing a streamlined way to be present online at the right time – when consumers are looking – and on the right platforms, with relevant, engaging messages that resonate with your prospects and customers. Engage121 can help simplify LOCAL SEO implementation and optimization, with solutions that assist your business in getting set up and configured on Google, directories, review sites and social media, while keeping you relevant – and present – with interesting, entertaining and updated content. HOT!Content – a no-cost daily email, providing content and DIY LOCAL SEO tools. Digital Marketing Assistant, (DMA) – a comprehensive, managed subscription service LOCAL SEO success. Interested? We’d love to show you more. To request a complimentary Digital Marketing Assessment, please click here. Please connect with us on Facebook, Instagram, Twitter, LinkedIn, Pinterest and Google+.